The International Wushu Judges Training & Certification Course was recently held in Lubbock, Texas from April 15th to 20th. Organized by the International Wushu Federation and hosted by the USA Wushu Kungfu Federation and Pan-American Wushu Federation, the course attracted 47 participants for both taolu and sanda from countries including Argentina, Brazil, Hungary, Mexico, Venezuela, and the United States. A delegation from China was led by Chen Guorong, chairman of the IWUF technical committee along with instructors Liu Zhigang, Gao Chulan, Liu Xiaolin, and Byron Jacobs. The taolu course was comprised of lectures covering judging methods for quality of movements, degree of difficulty, and overall performance as well as practice sessions utilizing JustTool’s computerized judging system. As part of the certification requirements, taolu candidates engaged in physical training and were required to perform one hand form and one weapon form from either the 1st or 3rd set of international compulsory forms. The fourth and final day of the course involved a 100 question theoretical examination, as well as a computerized practical examination testing the candidates abilities to apply judging methods while watching a selection of competition videos. 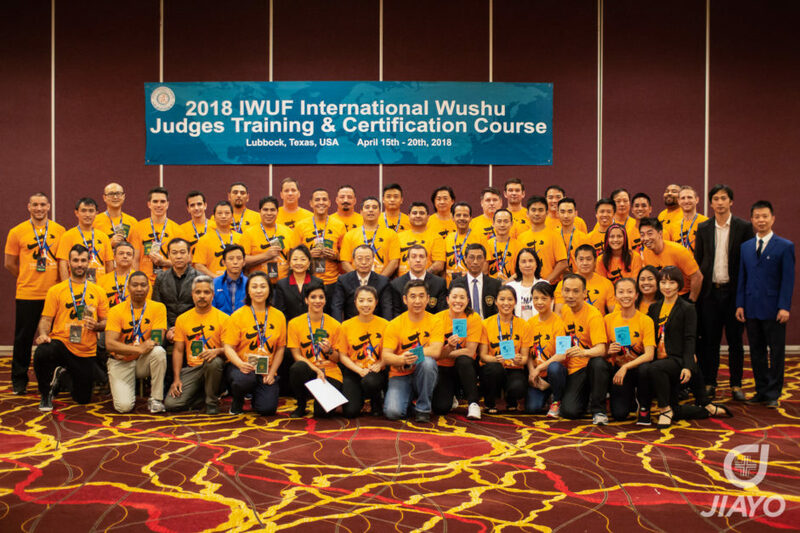 At the conclusion of the course, a total of 12 taolu and 12 sanda judges were awarded international judging certifications from the IWUF and 15 taolu and 2 sanda judges were awardedjudging certifications from the Pan-American Wushu Federation. This was the first of three courses this year that will cover the new 2018 Rules for International Wushu Competition. This is the first time the rules have undergone revision since the release of the 2005 Rules and will go into effect beginning in 2019. The major changes to the taolu rules include new Group A deduction codes, revised deduction criteria, and new Group C difficulty movements and connections. The final and complete version of the new rules will be released by the IWUF later this year. Two additional certification courses will take place in June in Italy and Malaysia.